Sutherland Shire Libraries has a range of downloadable resources that you could use in your 'me' time. Reading has long been recognised as a good way to relax. Have you ever thought of letting someone else do the reading? Sutherland Shire Libraries have eBooks and Audiobooks that can be downloaded to your mobile devices. 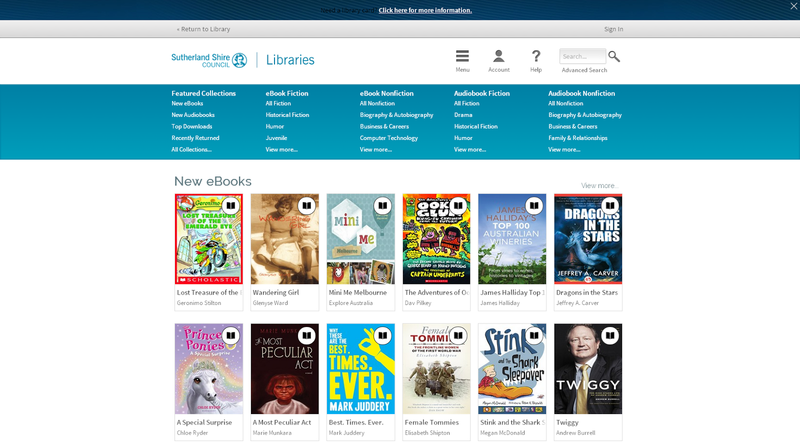 You can find out what eBooks and Audiobooks the library has by searching the library catalogue. Overdrive has recently improved content offering books from best selling authors such as Lee Child, Lisa Jackson, Jodi Piccoult, Patricia Cornwell, Clive Cussler, Judy Nunn, Peter Fitzsimons, David Hill, Tom Keneally. This library never closes and lets you read or listen on your PC or transfer to your e-reader, iPod or tablet. The icons with the 'e' as part of the caption indicate the titles which are Electronic Resources. They can be used from anywhere you have an internet connection. No need to physically visit the library to use them. 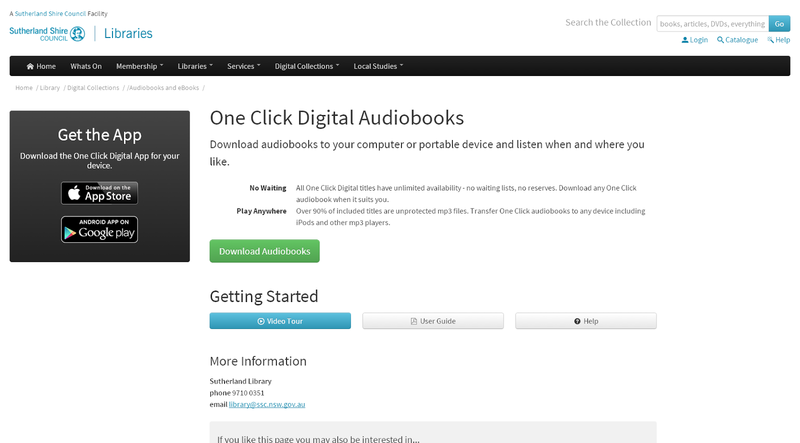 You can also go directly to the library's Audio and eBook page. eBooks from Overdrive do not open directly from the search results. 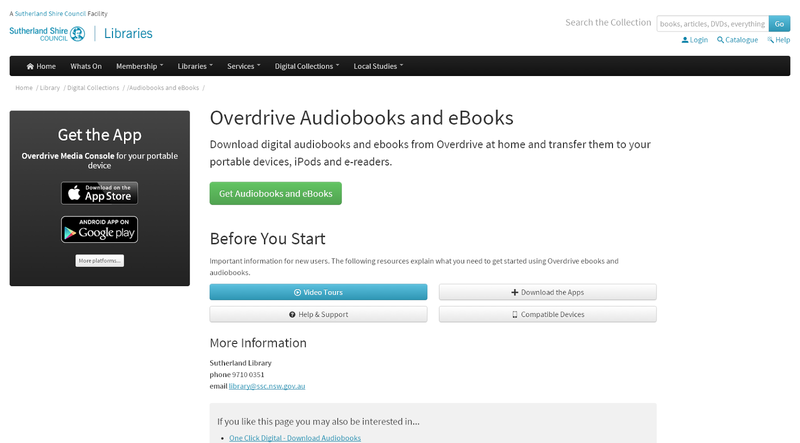 First time users should look at the instructions supplied from the library's Overdrive Audiobooks and eBooks Learn More link help with setup of Overdrive. Overdrive has a great range of Fiction and Non-fiction titles, which can be found via Encore or in Overdrive itself. Overdrive allows you to borrow titles for a 3 week period, (shorter if you wish), renew them and place or cancel holds on titles. You can have a maximum of 10 titles out at a time, whether that is a mix of eBook or eAudio. TIP: Overdrive titles do not appear on your regular library online account, a separate Overdrive account has to be created for each member and loans, returns and holds etc. are managed from there. eAudio is also available from Overdrive, with the titles coming from over 2,000 publishers and new ones being added all the time, there is something for everyone. eAudio is the only format available from OneClickDigital, so if you want something to listen to while driving or on your morning walk browse through the range offered by OneClickDigital. 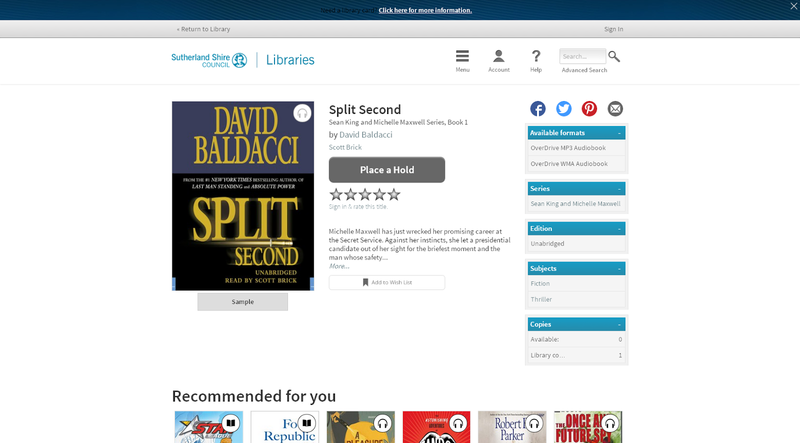 Like Overdrive to borrow audiobooks from Oneclickdigital you have to create a new account, which enables the creation of preferences, alerts and collection lists. 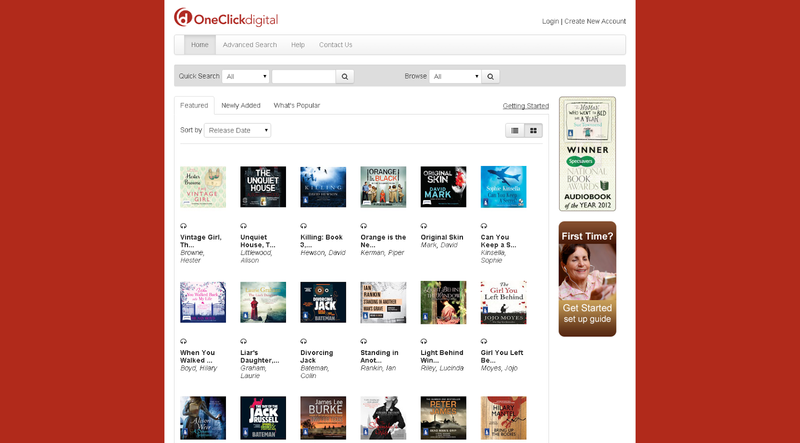 Overdrive and OneClickDigital require software to be downloaded to your PC or portable device on the first use. All the information required to access these all these titles is contained on the library website under each resource. Do you like to keep up to date with your favourite magazines? Then you’ll love Zinio – a free digital magazine service available at Sutherland Shire Libraries as part of its range of online collections. The current issue of popular magazine titles can be downloaded onto many devices including PC, Mac, iPad or Android tablet. Zinio enables readers to move seamlessly between text, graphics, animated illustrations and videos; making reading their favourite titles an interactive experience. Gourmet Traveller, Australian Womans Weekly, New Idea and many more. A list of magazines included in Sutherland Libraries zinio subscription can be found on the library catalogue. Get free music and music videos from thousands of artists from the Sony catalogue. Using Freegal, library members can download up to 3 free song MP3s, or 1 song MP3 and 1 music MP4 video per week from the Sony Music catalogue. Choose from thousands of artists and hundreds of thousands of songs, all free and legally yours to keep. Library members can now also access 3 hours of music streaming per day. Information and step-by-step instructions on setting up and using Freegal are available on the Sutherland Shire Libraries website. These resources are available to members of Sutherland Shire Libraries.